Throw an Amazing Mother's Day Brunch! 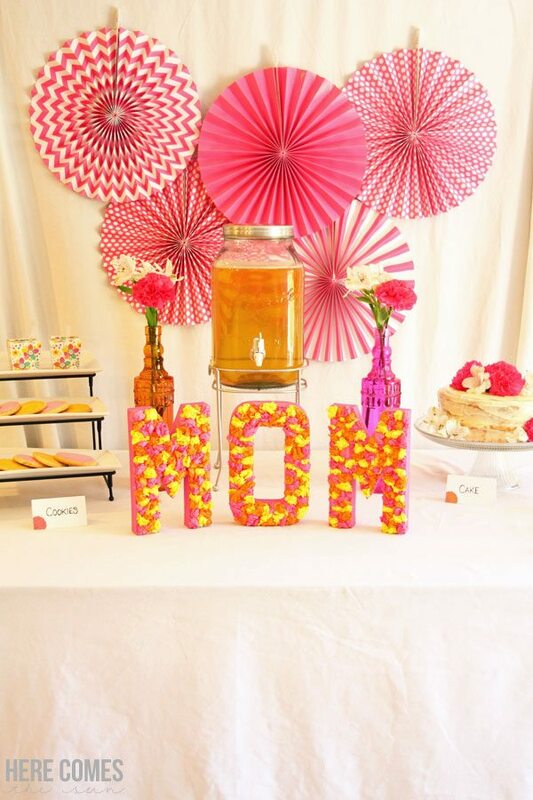 I’m so excited to share this Mother’s Day Celebration with you today! 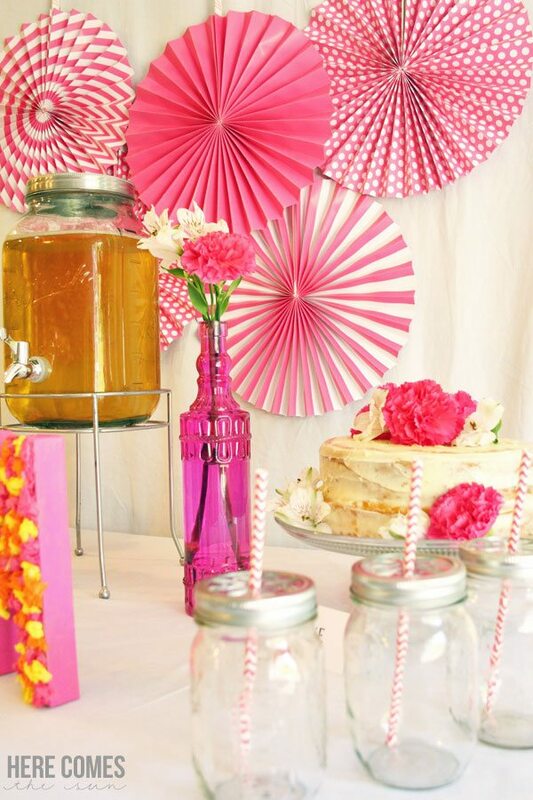 This celebration is easy to put together with a few simple things. I chose bright bold colors for this brunch. 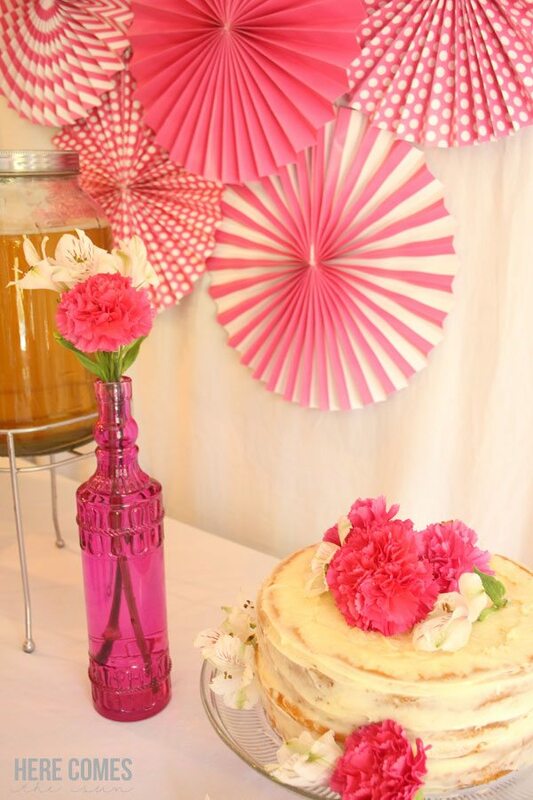 I really love bright fuschia right now so I made sure to include it in the decor with my tissue paper party decoration. 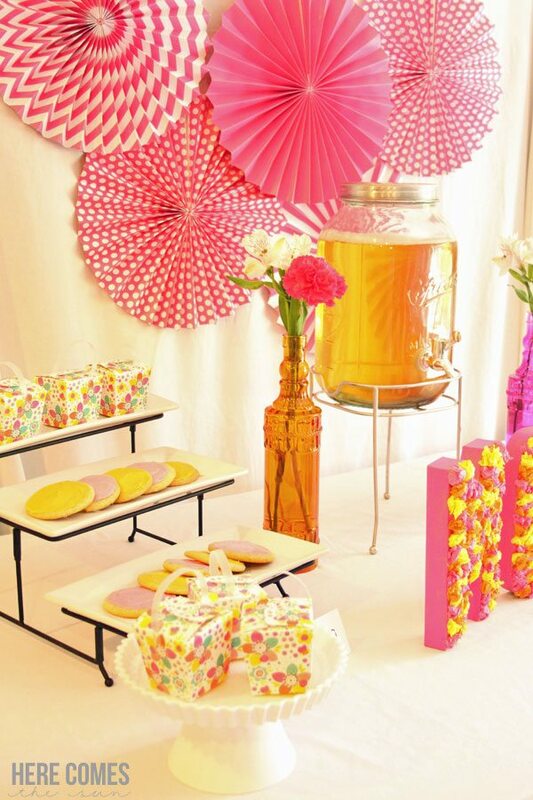 For the food, I kept is simple with cake, cookies and sweet tea. 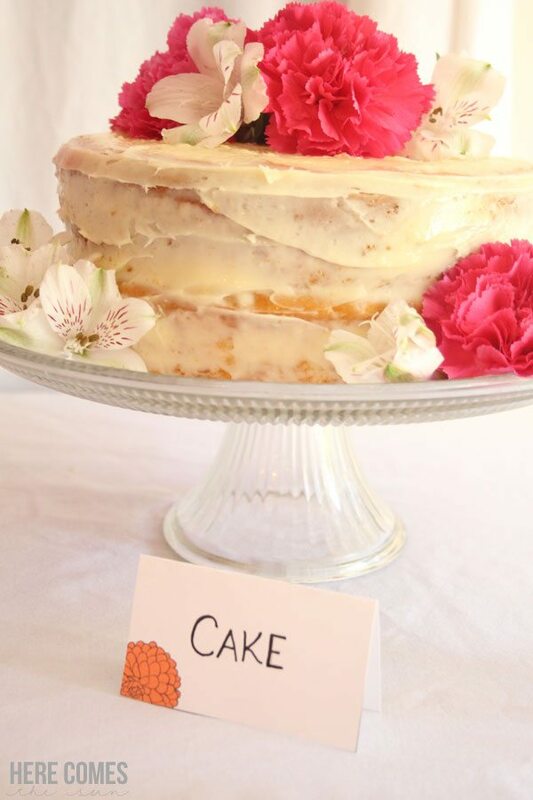 This was my first attempt at a naked cake. 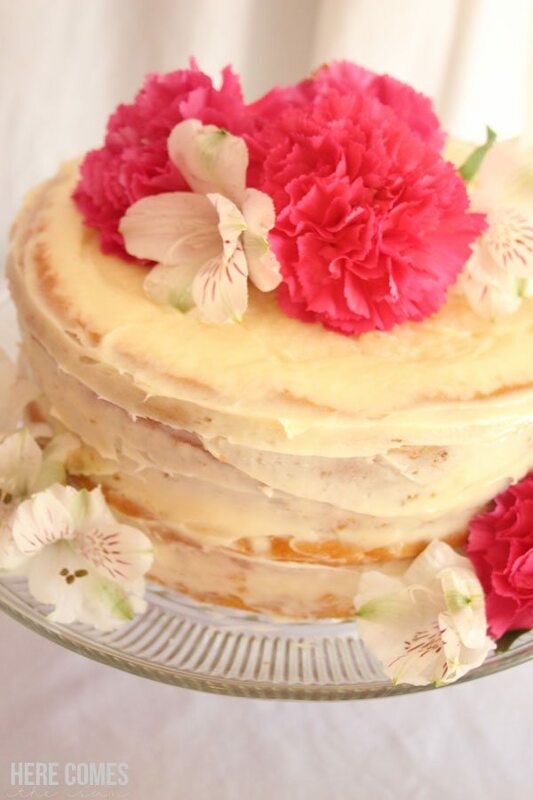 Have you seen these types of cakes? I’m in love with them. 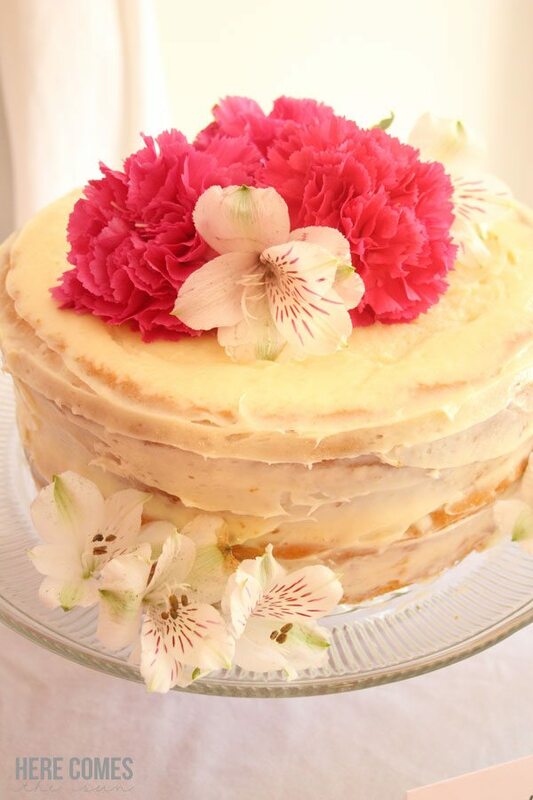 Although next time I will use more frosting between the layers and less on the actual cake. I’m still in love with the way this turned out though. 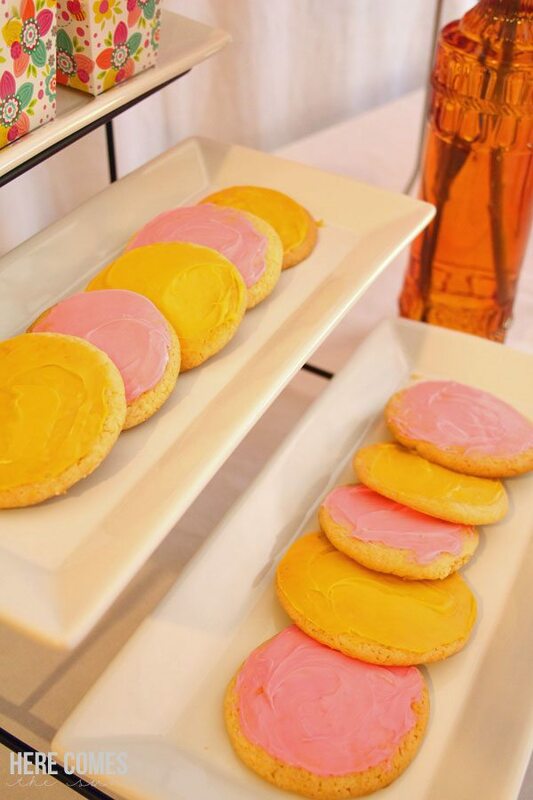 The cookies are simply sugar cookies with store bought frosting tinted with neon food coloring. They match perfectly with the color scheme! 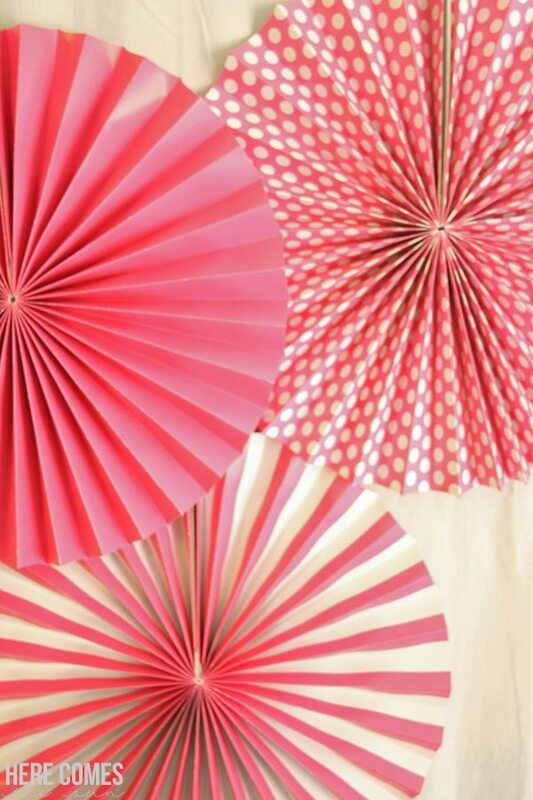 Paper fans were from Hobby Lobby or you can get similar ones here. The flower vases were from the Dollar Store. 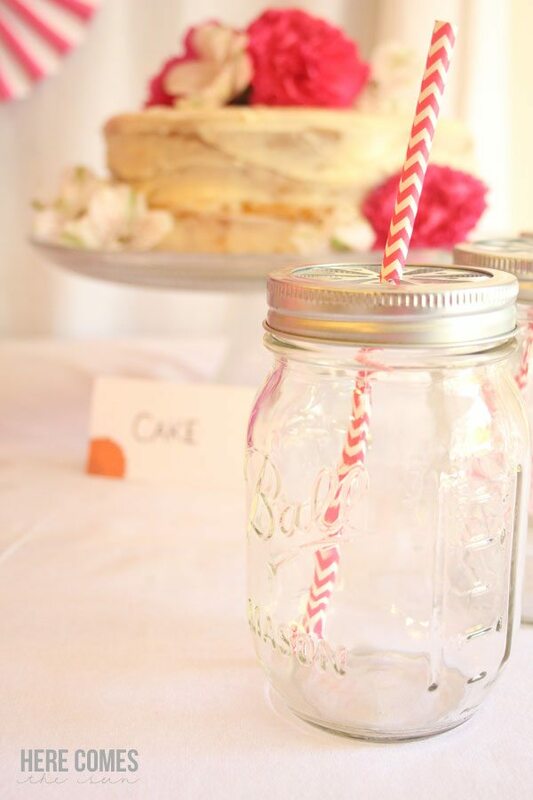 Mason jars and paper straws are a staple at all my parties. Have you ever used the daisy mason jar lids? They add such a nice touch to any party. I picked up some cute treat boxes at the Dollar Store. Fill these with any type of goodness that you want! Can you tell I’m kinda in love with the fans? 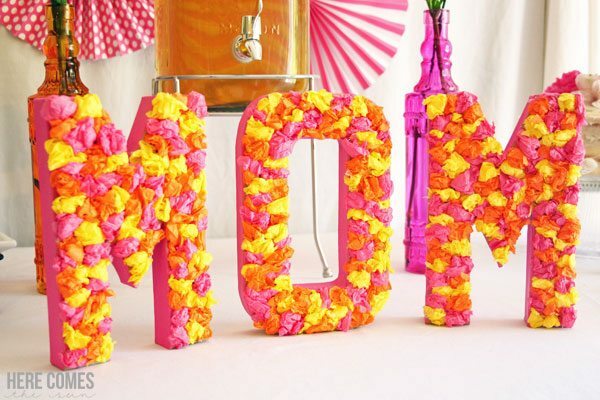 Now that I’ve shown you how you can create a gorgeous party for very little money, you have no excuse but to shower your mom with love this month! Don’t forget the gift tag! This is a great idea! Thanks for sharing at Creativity Unleashed.